JP Morgan Chase and Company’s roots date back to 1799 as a bank started by Aaron Burr, Alexander Hamilton’s political enemy, in New York. JP Morgan Chase grew to its current size by absorbing a number of large banks over the years. Today, the financial institution is actually a combination of 1200 different banks. JP Morgan Chase’s mortgage business comes from the remnants of Washington Mutual. Washington Mutual was an innovator in mortgage lending and retail banking. JP Morgan acquired WaMu to escape bankruptcy in 2008 during the economic crisis. Today, thanks in part to the WaMu acquisition, Chase mortgage refinance rates and programs are competitive in the marketplace. As with all fixed rate loans, the benefit is knowing what your interest rate will be for the life of your loan. As a consumer, you’ll never have a sudden influx of rate, which makes budgeting easier. Chase offers terms ranging from 15 to 30-year fixed rates. 5-1 and 7-1 ARMs tend to be less explored, but if your financial situation matches these products, they can be a great option. Adjustable-rate mortgages are shorter than traditional mortgage terms. Shorter terms typically come with favorable interest rates, but higher monthly payments. As with most ARM loans, the rate is set for an agreed upon period of time, then will rise or fall annually, depending on market conditions. It’s ideal to accept a short-term loan if you’re expecting a boost in income, plan to live in the home for only a few years, are nearing the end of your current loan or expect interest rates to remain at present levels. Keep in mind, with an ARM, your monthly payment is likely to change over the life of the loan. The larger the loan you take out as an adjustable-rate, the higher risk you run if interest rates rise. Keep your eye on interest rate forecasts before deciding about an ARM loan. If you qualify for a VA loan (military, veterans, reservists, spouses of a military member, widows of military personnel, and more) you are subject to lower refinancing rates. These rates can sometimes be a full percent lower than a traditional refinancing loan, which can result in substantial savings of the life of your loan. HARP was created by the federal government, to help homeowners refinance their homes at a lower rate. In many cases, an appraisal is not required and fewer documents are needed. We’ll dive into more detail about HARP loans below. The Chase Bank refinancing rates are competitive. Chase, as with all other financial institutions, will take a homeowner’s current debt load and history into consideration in deciding upon a refinancing rate. To find current Chase mortgage refi rates in your area, you’ll need to visit Chase’s website to enter your geo-specific information or speak with a representative directly. How do Chase’s products compare to other banks? While Chase’s 30-year mortgage rates are comparable to Wells Fargo’s, Chase doesn’t promote a program dedicated to their current customers (apart from HARP) whereas other regional banks like Wells Fargo, do. Existing Wells Fargo Home Mortgage customers may be eligible for a streamlined refinance option which means no closing costs or application and appraisal fees for the customers. These types of fees can add up, so if you’re currently a Wells Fargo customer, research the programs offered at Wells Fargo may be in your best interest. The number of products offered by these two lending companies are comparable. If your primary refinancing goal is to get the lowest interest rate possible, Chase might be a good starting point for your research, especially if you’ve worked with Chase in the past and developed a relationship with them. Always look on a lender’s site directly, rates can change daily and depending on your location or home equity your situation will vary. USAA is a military-centric credit union, therefore they have strict eligibility clauses. If you or your spouse served in the military, or if your parent or spouse is a USAA member you can begin to establish your eligibility. The strict eligibility also comes with some terrific refinance rates, especially if you qualify for a VA loan. 15 and 30-year fixed conventional loans however, are comparable to other regional banks. So even if you are eligible for USAA’s products, compare your rates. Don’t instantly assume this credit union will have the most favorable deal. 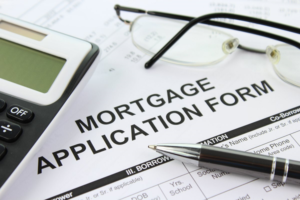 If you already have a Chase mortgage, consider refinancing through their HARP program. Chase’s HARP loans let you refinance even if you owe more than your home is worth. While you will have to fill out a new mortgage application and go through Chase’s underwriting process, you will not have to have your home appraised – which can cost around $400. Given that Chase loans are available at some of the lowest interest rates in the market, they let just about any of their customers take advantage of refinancing opportunities. If you are happy with your current loan, have equity but need to pull some cash out of your house, for remodeling or otherwise, Chase has lending products for you as well. You can pull out a lump sum of cash with a traditional home equity loan or have access to cash when you need it through a Chase home equity line of credit. Their Chase HELOC product not only offers very competitive rates but also the opportunity to fix its rate to protect yourself from future interest rate increases. They will even allow you to make interest-only payments on your HELOC balance, helping you save money every month. JP Morgan Chase has many fixed rate jumbo mortgage products, all at very competitive interest rates. Unlike other lenders that offer balloon-payment jumbo loans, Chase’s large-balance refinance loans carry fixed rates for extended terms. In fact, they make jumbo loans of up to $2,000,000 for 10-, 15-, 20-, 25-, and 30-year fixed terms. It’s always best to shop around for the best rate when it comes to refinancing. Consumers have many entities to consider while shopping around – banks, credit unions, consumer finance companies, and loan institutions all offer products for you to consider, which gives you the advantage. Apart from interest rates, it’s also best to determine which lender is right for you from an ancillary fee standpoint. Calculate your overall fees compared to your interest rate with each lender you consider, you might be surprised to find that a lower interest rate isn’t always the most economical option. Customer service and communication should also be taken into consideration. You want to feel like your lender has your best interest in mind. Is your lender truly helpful or are they just trying to get a commission? With a history that goes back almost as far as the United States, JPMorgan Chase has a great deal of experience in serving their customer’s needs. Today, their package of mortgage, refinancing and home equity loan options can help you to achieve your financial goals.